While Danny Trejo might not be a name as many people would recognise as say, Tom Cruise, with over 300 film credits to date since his acting debut in the mid-1980s, not to mention his distinctive hard-as-nails look, he’s certainly one of the more recongisable faces in Hollywood. Unlike most, however, Danny’s trail to becoming one of the hardest working actors in Hollywood began in prison while facing “three gas-chamber [worthy] offences”. In the end, Trejo got off scot-free. You see, there were no witnesses willing to testify against him on any of the charges he was facing. “Three thousand inmates [and] they had no witnesses,” he later stated. 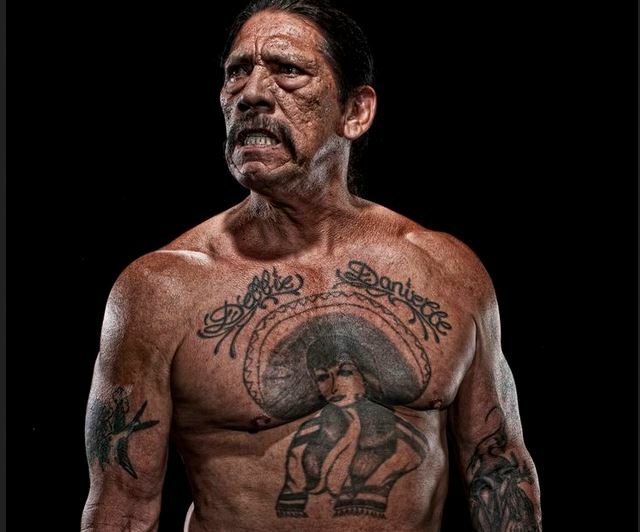 At this point, Trejo had been drinking alcohol and doing various drugs since he was eight years old, including doing heroin for the first time at twelve. So I went down and, as it turned out, the kid was working as a PA on a movie set. It was the film Runaway Train with John Voight and Eric Roberts. You have to understand that this was 1985, and on movie sets you could walk into production and cocaine lines were right there on the table. It wasn’t even hidden. It was unbelievable. Remembering Trejo’s skills as a boxer in the clink, Bunker approached Trejo and offered him a job training Eric Roberts (Julia Robert’s brother) to box for $320 per day (about $750 today) and to appear on screen as Eric’s opponent. After appearing in Runaway Train, Trejo found himself being typecast as a criminal, often being called to play a thug by filmmakers who’d tell their crew to “just get that Mexican guy with the big tattoo”, which didn’t bother Trejo. 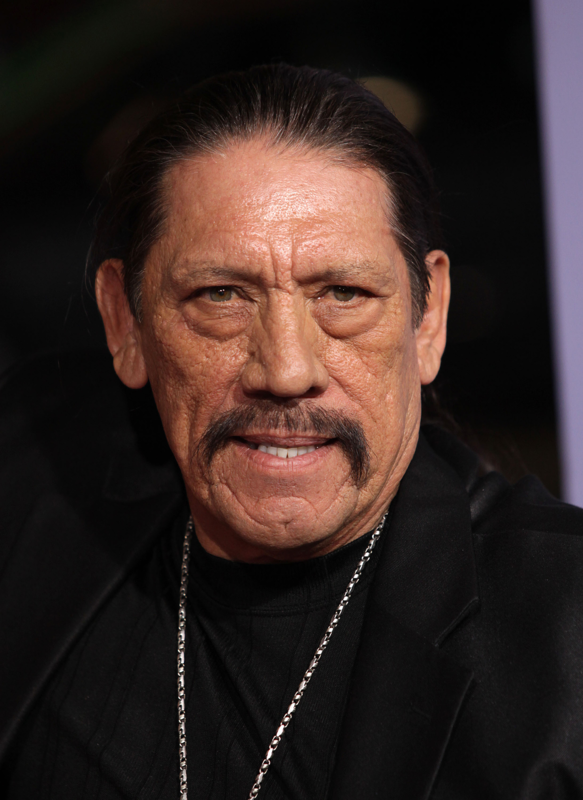 After years of appearing as an extra, during which time Trejo appeared in so many movies he sometimes turns on the TV today and becomes shocked when he sees himself in a film he doesn’t remember being a part of, Trejo has become a Hollywood staple and one of its most reliable and prolific character actors. Beyond the more recognizable titles he’s appeared in like Con Air, Heat, Desperado, Machete, and Spy Kids, he “still [tries] to do four or five student films per year. You have to. You have to remember the joy and passion of a new filmmaker who has his first $100,000 and the passion that he or she brings. It’s so unbelievable to watch and nurture them.” With his name attached to a given student film, it also tends to help the budding filmmaker get the needed money to make the movie in the first place. Outside of acting, the now 71 year old Trejo also continues to counsel youths about drinking and drugs, using his star power combined with his life experiences to reach them in a way most other adults can’t. My passion is talking with kids… the gift of being able to go into a juvenile hall to talk to kids because it’s almost impossible because kids have no attention span whatsoever… [But] because of my role in Machete, the minute I walk onto any campus, I have their undivided attention. This movie has been such a gift because I can walk into any prison, San Quentin, whichever, and these kids will listen. They won’t listen to psychologists, parents, teachers, no one, but for me, they go out of their way to listen because they believe and trust I understand their lives. And of course I do, and did, even before I filmed Machete. My message to them is, ‘We don’t drink, we don’t use drugs, we help other people and our lives will get better. Most importantly make the decision to believe in yourself. According to Robert Rodriguez, Trejo’s characters in the Spy Kids movies and the ultra-violent Machete series, both of which Rodriguez wrote and directed, are the same guy. Speaking of Robert Rodriguez, he and Danny Trejo are actually cousins, something the pair didn’t realise until they worked on Desperado together. Great great article! I’ve been a fan of Danny Trejo for quite a while. I remember seeing him on an episode of The X-Files, Redrum. It was at that point that I realized, that’s the guy from From Dusk Til Dawn, Con-Air, Heat, etc. etc. The list goes on and on and on. This guy has an AMAZING work ethic. Just check out the list of titles he’s been in… simply amazing. Great work, Mr. Trejo, keep it going!